In addition to the terms on our Policy page please also be aware of the following additional but non-exhaustive terms and conditions. Minimum bookings may apply for peak season, special events and festivals. Cancellations made up to 14 days before your booking will not be liable to pay the total balance, for cancellations made after this time or by failing to take up the booking without cancelling, you will be liable for the amount which applies for your first nights stay. Therefore if you cancel a booking within the 14 days or fail to arrive, no refund will be given. Please note deposits are not transferable between guests, however should you wish to amend your booking a deposit may be transferrable. We would only cancel your booking if your accommodation was unavailable for reasons beyond our control, we would attempt to offer you alternative accommodation, however if this was not possible, or unacceptable to you then we would refund all monies paid by you. Our liability would not extend beyond this refund. You are responsible for any breakages or damages which you cause to the accommodation or it's contents. We do not charge for minor breakages, but we may send you an invoice if the damage/breakage is significant. Additionally, there will be a charge of £100 for soiled bedding, towels, carpets, furnishings and decor, where additional cleaning is necessary. Smoking in the bedroom and within the property boundaries is against the law and strictly prohibited. A charge of £100 will be made to cover any additional cleaning costs and all occupants of the offending room will be asked to vacate their room and leave the premises immediately. Monies paid will not be refunded. Loss of keys will incur a charge of £100 to cover replacement keys/locks. Excessive noise, unruly and threatening behaviour and the like which causes inconvenience and discomfort to our other guest and/staff is not acceptable. Such behaviour will result in the offending person(s) being asked to vacate their room and leave the premises, but will be charged for their booked stay. For all bookings made direct/online we require payment in full for all 1 night bookings and for 2 or more nights we require the equal amount of the first night of your stay to be paid as a deposit, this will confirm your booking with us. Cheques are to be made payable to Mrs J. Lindsay. 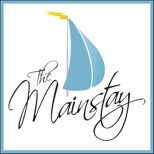 1.This web site is operated by The Mainstay B&B. It is made available on the following terms and conditions. By using the web site you accept these terms and conditions, which shall be interpreted according to the laws of England. 2. The copyright of the material on this website belongs to the owners and website creators except where it is stated otherwise. All rights are reserved. No part of this web site may be copied, performed, published, broadcast or adapted, recording or by any information storage and retrieval system, for this, or in any other medium without the prior written permission. - Except solely for your own personal and non-commercial use in accordance with the law. 3. The copyright for all photographs and images used on this web site belongs to the owners and website creators and other respective copyright owners. All rights are reserved. They may not be copied, performed, published, broadcast or adapted, for this, or in any other medium without the prior written permission - Except solely for your own personal and non-commercial use in accordance with the law. 4. The Mainstay has made every effort to ensure that all information contained within this web site is correct at the time of going live, to the extent permitted by law. The Mainstay and/or website creators shall not be liable to any person for any loss or damage whatsoever, which may arise from any reliance upon, the use of or any dealings with any of the information contained in this web site. 5. Mention of third-party products, companies and web sites on this site is for informational purposes only and constitutes neither an endorsement nor a recommendation. The Mainstay and/or website creators assume no responsibility with regard to the selection, performance or use of these products, vendors or information. Information is provided only as a convenience for the users of this web site. 6. The Mainstay and/or website creators makes no representation whatsoever regarding the content of any other web sites which you may access from this web site. A link to another web site does not mean that The Mainstay and/or website creators endorses or accepts any responsibility for the content or use of such web site. 7. The Mainstay and/or website creators actively enforce their copyrights and intellectual property rights to the fullest extent of the law. 8. The Mainstay and/or website creators may at any time make alterations to, or withdraw this web site, or any part of it. 3. The Mainstay only use your data where necessary to complete their contractual obligations with you and record keeping as required by law. Please ask for a full copy of our GDPR policy. 4. Like many web sites, this site may use "cookie" technology. The cookie identifies your browser with a unique, random number. The cookies we use do not reveal any personal information about you and are used solely to enable sections of the site perform effectively. 5. This Web site may contain links to other sites. The Mainstay and/or website creators does not share your personal information with those Web sites and are not responsible for their privacy practices. We encourage you to learn about the privacy policies of those companies. 6. The Mainstay and/or website creators does not give any personal information to third parties or use information gathered in any other way than those described above. If required by law or legal process to disclose your personal information we will do so only in accordance with the law.